Any Size11" x 12"11" x 17"12"x12"18"x18"4"x4"6" x 9"6"x6"7" x 12"7"x11"7"x7"8" x 8"9"x11"9"x9"
Cleanroom Wipes are manufactured and processed to meet the demands of the most critical environments. Choose from a comprehensive selection of lint-free wipes made from the highest quality, lowest-linting substrates free of bonding agents, adhesives or chemical additives. 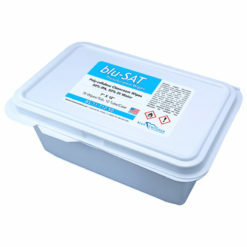 Free of bonding agents, adhesives or chemical additives. Our cleanroom wipes are trusted for applications ranging from drug compounding laboratories (meeting USP 797 and USP 800 requirements) to high-tech applications utilizing nanotechnology. 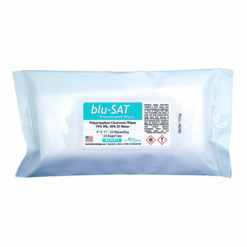 We offer wipes that meet the strict needs of the semiconductor, hard disk drive, photonics, solar, aerospace, defense, automotive, bio-medical, pharmaceutical, nuclear-related, forensics, and medical device industries. Perhaps the lowest-linting material of them all, polyester can have the edges laser cut to prevent particles from breaking away. It is soft and durable making it ideal for a wiping a variety of surfaces. Close knitting and cleanroom processing can further enhance cleanliness. Do completely lint-free wipes exist? The truth is that no wipe is truly 100% lint-free. They simply do not exist. To produce a wipe that does not generate any particles whatsoever, the wipe would have to be manufactured of a completely solid material such as plastic. With that said, there are materials that are virtually lint-free. Some of the lowest linting materials are polyester knit, nonwoven polyester/cellulose blends, and microfiber blends. The reason the term lint-free is used so widely can be attributed to several leading compliance organization such as USP and ISO. Both organizations reference and even recommend using “non-linting,” “non-shedding” and even “lint-free” wipes throughout their literature. 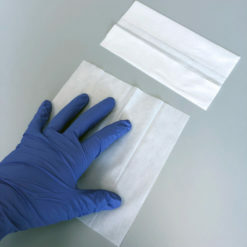 For more information on our comprehensive selection of cleanroom wipes for contamination control, please contact us and one of our knowledgeable representatives can assist you.